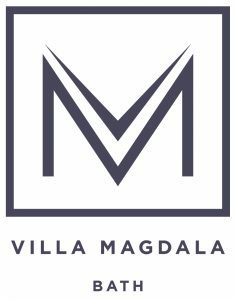 We recommend staying at either Villa Magdala, The Carpenter’s Arms or Radford Villa. On the morning of the course most people drive to Timsbury Village and stroll down to the school. We are able to offer a shuttle service from various pick up points if required. Please contact us if you require this service. Overlooking the Chew Valley, the hamlet of Stanton Wick provides a tranquil and picturesque setting for the delightful Carpenter’s Arms. For visitors seeking an alternative to the bland uniformity of many a modern town centre hotel, The Carpenter’s Arms offers an appealing individuality. Twelve bedrooms (9 king size double & 3 twin) are all en-suite & have been refurbished in a stunning contemporary style. In each room you will find an LCD flat screen television with free view, hospitality tray, direct dial telephone & hairdryer. Wireless broadband is available through the majority of the building. Our bathrooms are of course in keeping & boast both shower & bath, fluffy towels & complimentary toiletries. Set in the hamlet of Radford and surrounded by gentle rolling hills, Radford Villa is just one mile from Vale House Kitchen and only a short drive from the City of Bath. A graceful Georgian country house sitting in its own delightful grounds, it is the perfect place to relax and enjoy the warmth, charm and hospitality of this recently refurbished bed and breakfast. With the restoration complete, this family home offers its guests both contemporary and period styled bedrooms with luxurious modern bathrooms. Breakfast is taken in the sunny drawing room over looking the grounds. Radford Villa is a peaceful year round guest location with cosy open fires for the chillier months and, on summer days, lazing beside the brook that runs through the gardens. The owners of Radford Villa are able to give you a lift to Vale House Kitchen and pick you up when at the end of the day.